Here is a closer look at Francisco Paya's collection. To the left you can see a green Mecatecno MR326. 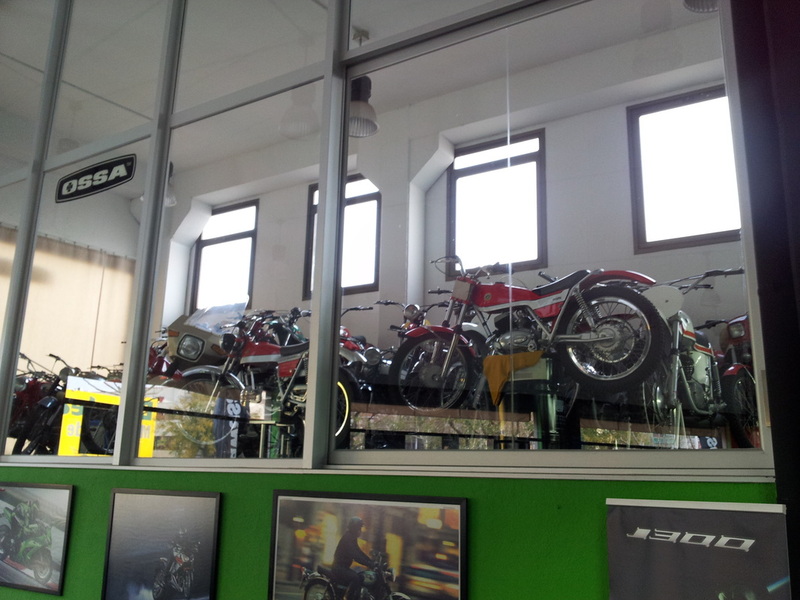 In the centre you can see a red prototype OSSA Tr80. Crammed up there is a JJ Cobas Trial as well as the baby Bultaco Chispa in front of you. Here's a better look around. 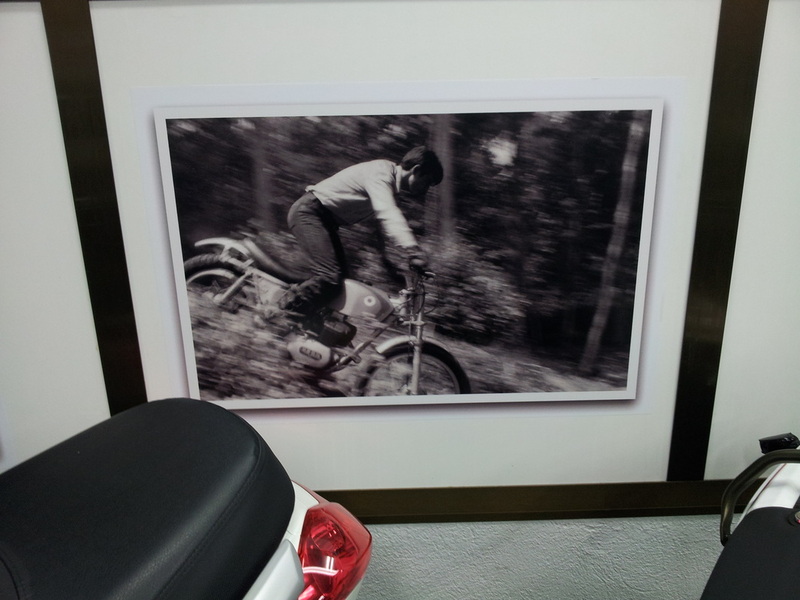 Here are some of the photos adorning the walls of Paya motorcycles. 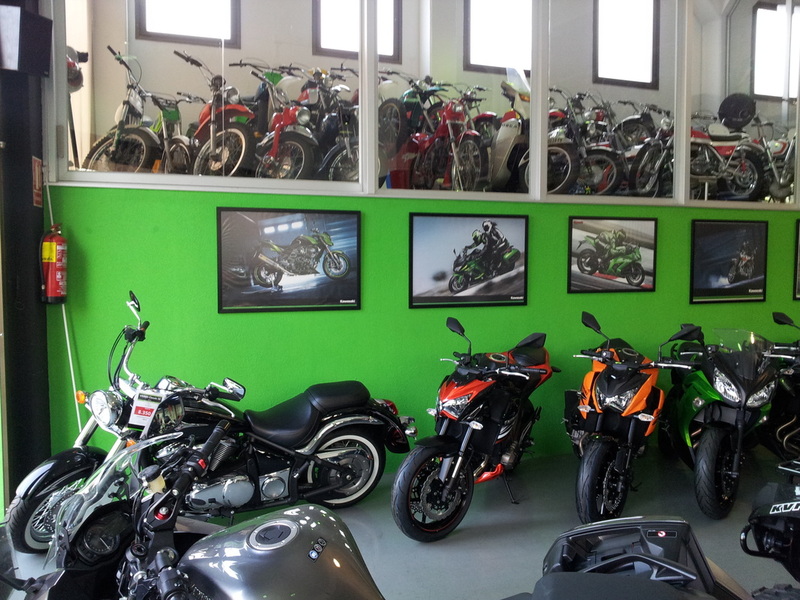 They are of the owner Fransesc. Lets tell you a little about Fransesc Paya, the gentleman who is showing us around. 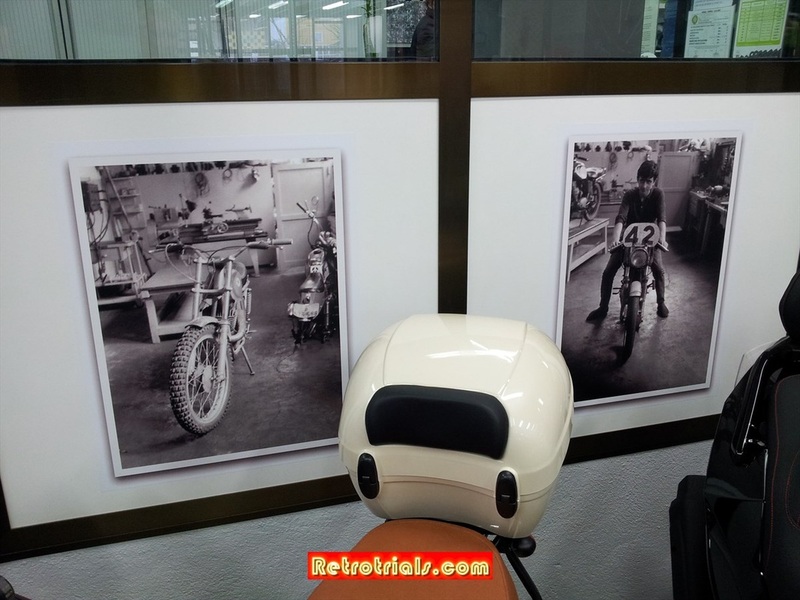 Fransesc was born in 1953 and is primarily remembered for his riding during the 1970's. 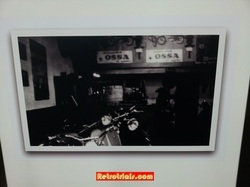 He competed from 1971 until 1982 in the Spanish Championship primarily on an Ossa. Controversially, he was the first Catalan rider to ride a non Catalan bike in the Spanish Championship, ruffling a few feathers, no doubt. 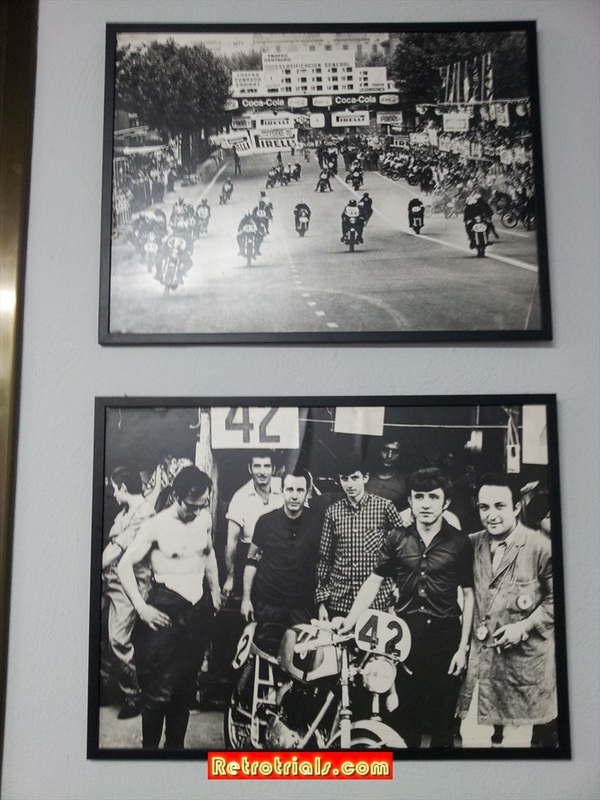 In 1979 he was the first rider to ride SWM in the Spanish Championship. 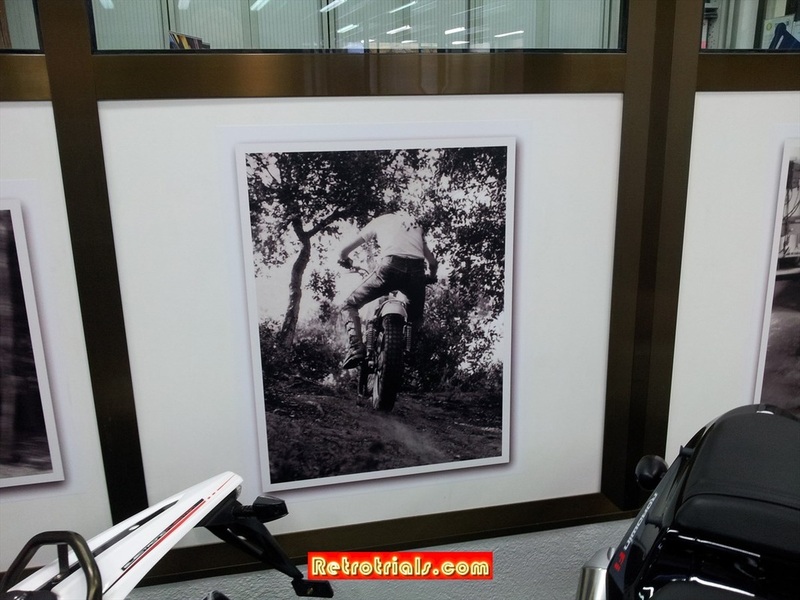 Following this, reinforcing his love for bikes a little different, he rode the Puch trial in 1979 also. 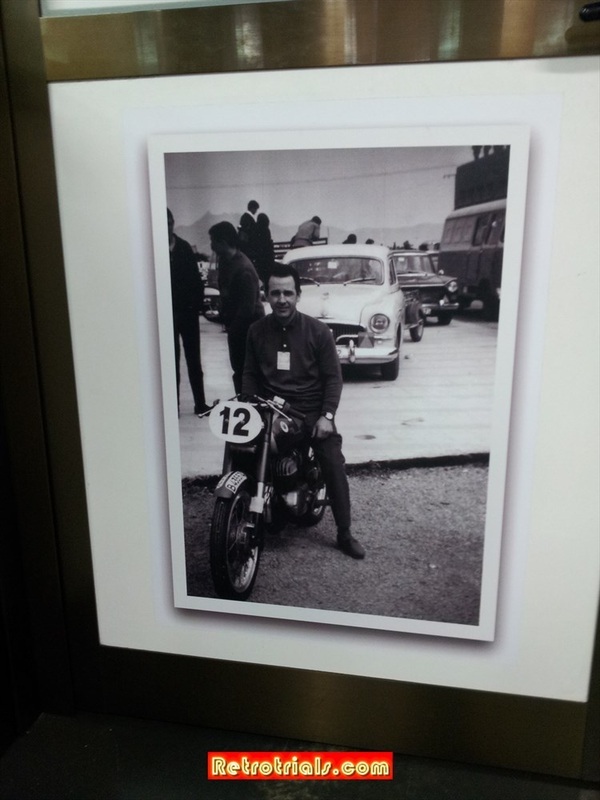 Fransesc in 1972 and 1975 came 2nd in the Spanish Championship whilst riding Ossa and Montesa respectively. 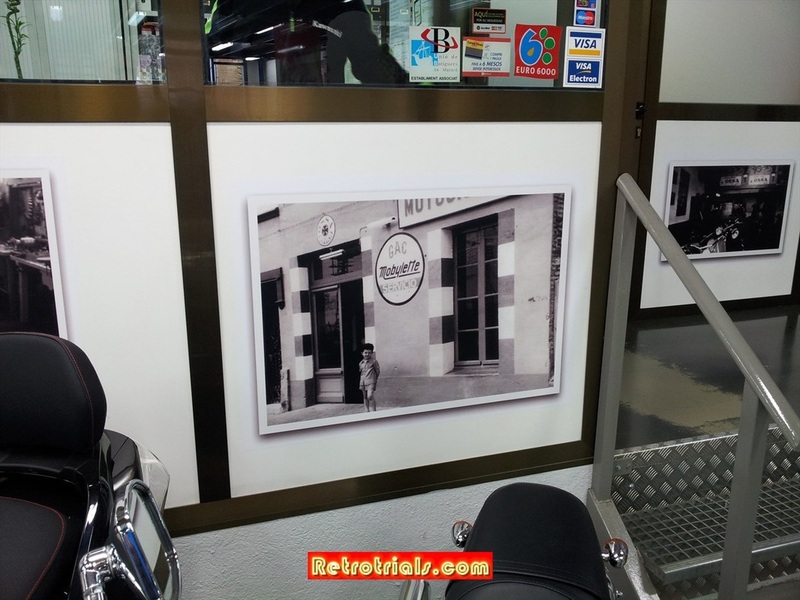 Here are some more pictures from the walls.